Locks and keys are the first measures of protection for your business, home, and car. And that is why reliable 24-hour locksmiths in Glendale, AZ are so important. Our 24-hour locksmiths in Glendale Arizona are examples of how multifaceted a service provider should be. Technicians from Pros On Call don’t just cut keys and fit metal locks on doors, they reprogram car fobs, conduct home security audits, and install keyless entry systems, among other functions. Contact us today to learn more about our complete range of locksmith services near you! Even though the technology may have changed over the years, the basic principle remains, and that means locksmiths are just as important as they were centuries ago, or even more so. The technical skills of a locksmith make it possible to get installation, repairs, and maintenance for your locks when necessary. When you have to secure your place of business with high-level alarm systems and locks, a local locksmith from Pros On Call is a viable solution. Many businesses lose their inventory or data due to theft and burglary. Our commercial locksmiths in Glendale can ensure that your company building receives customized security solutions. If your system needs integration with video surveillance or access controls, we can do that. 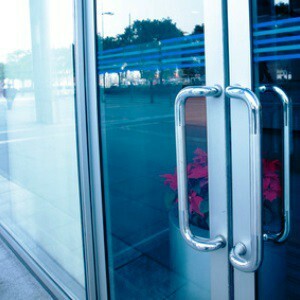 We install and maintain automatic door closers, panic bars, and magnetic locks. Call us for office lookouts, and broken key removal as well. Are you locked out of the office early in the morning, or stranded at the Glendale Municipal Airport late at night? Is your car’s ignition cylinder acting up? Or maybe your little one just broke a key in the patio door lock while on the outside. Our emergency locksmiths can get you out of such predicaments. In our company, our technicians are trained to respond to all kinds of calls with the utmost urgency. We have mobile locksmith services, which ensure someone is around Glendale to help when you need it. Contact us for burglary repairs, emergency lock changes, and key cutting solutions. When you want your smart key reprogrammed, our automotive locksmiths can do it. For a car owner that needs duplicate keys for the sake of preparedness, our technicians can provide them. If your car locks are experiencing wear and tear and need replacement, Pros On Call is the service company to contact. Our 24-hour locksmiths in Glendale Arizona are available round-the clock for programming keyless remotes and replacing laser cut keys, car fobs, and transponder keys for all types of vehicles. We specialize in superior quality locks so that our customers can benefit from high-quality security solutions. With brands such as LockState, Medeco, Marks USA, Master Lock, and Yale, you are assured of protection for your car, business, and home. Request our lock services for any project whether it’s installation of mortise locks in a new construction or simple lock rekeying for profile cylinder locks for your office cabinets. Pros On Call believe that every homeowner deserves the best security, which is possible with our residential locksmith services. Lockouts and repairs are the most popular reasons to call domestic locksmiths. However, we are available for rekeying, deadbolt installation, and high-tech keyless entry systems, among other services. With the hundreds of locksmith services available in Glendale, Pros On Call stand out because our friendly technicians personalize every service. Whether it’s removing a broken key from a lock or installing a monitoring system, we insist on superior level service delivery. 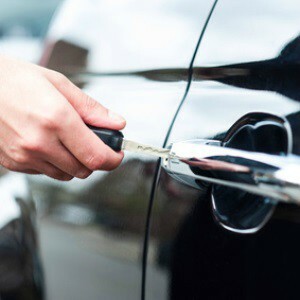 Building and vehicle owners need various types of locksmith services to protect their assets and personal safety, and our 24-hour locksmiths in Glendale Arizona are the go-to technicians for the best services. Request our locksmith services online, or give us a call to learn more about how we can assist you with all of your security needs. 24-Hour Locksmiths In Glendale Arizona https://prosoncall.com/arizona-locksmith/glendale/ 4.1/5 based upon 24 reviews.